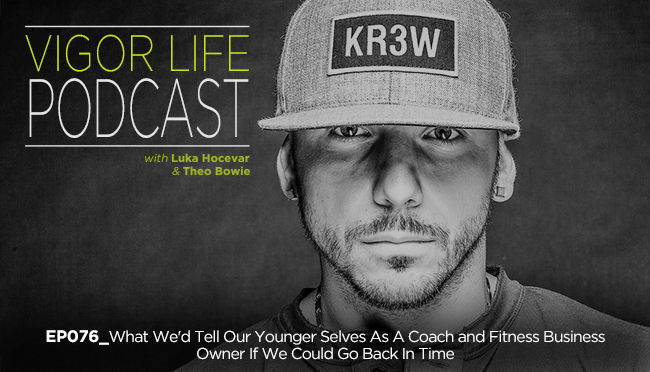 What we would tell ourselves if we were a young coach just coming into the industry who is looking to learn and grow personally and professionally. What we would tell ourselves if we were a fitness business owner starting with nothing but a vision who is looking to build something that will positively affect people locally and/or worldwide. As a wise man once said, “Life’s too short to learn from just your own mistakes.” It’s important to learn from the mistakes and lessons of people that have been there, done that, and are still doing it. Then apply those lessons to your own life so that you don’t repeat them in your own life. Don’t get it twisted – you will still have to put in a LOT of work and face struggle, obstacles, and failure(s). But this is the true definition of learning from mentors. If you are a coach, business owner, entrepreneur or a part of a team, you will benefit greatly from the golden nuggets in this episode. And so much more. We go deep in this episode. This entry was posted in Podcasts and tagged Business, Coaching, Fitness, Fitness Business, Personal Development, Self Development, Self Help, Self-Esteem, Success, Team Building, VigorLife. Bookmark the permalink.